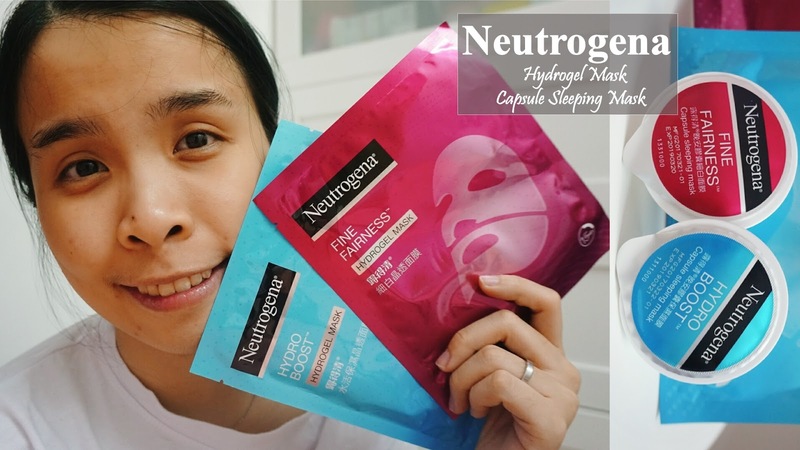 Trying out Neutrogena new Hydrogel and Capsule Sleeping Mask!! Masking is one of my favorite skincare steps! I never get tired of trying new sheets of masks. This time I will be reviewing this 2 new masks from Neutrogena. I can't really decide which mask will be my favorite. But both mask has their own benefits which are equally good and nice for our skin. Check out my review of both the mask when you continue scroll reading my post! I love its bright and shine packaging for this new series. Which looks so great when you take a photo of both of them together. It was designed in capsule form which is an ideal size for on-the-go fix and travel-friendly. The texture of the product is so cooling and rich to use. I love is super gel texture which makes the application looks so much easy and smoother too! 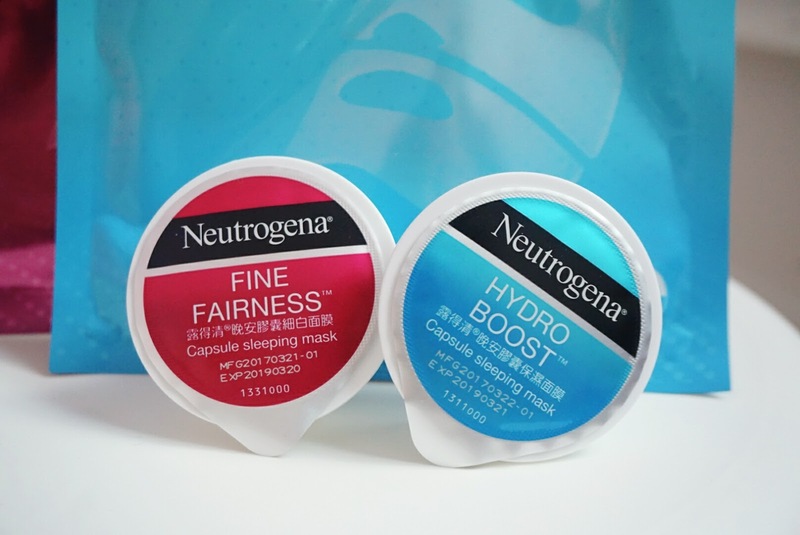 Apply Neutrogena Capsule Sleeping Mask for 15 minutes to get all benefits of a facial treatment. The intensity of a hydrating facial of your skin. Get instant and visible benefits. Can use it anywhere whenever your skin needs an instant boost. Traveling, mixing with oil boosters, and put into a freezer for cooling effect. Keep it fresh anytime for single usage! 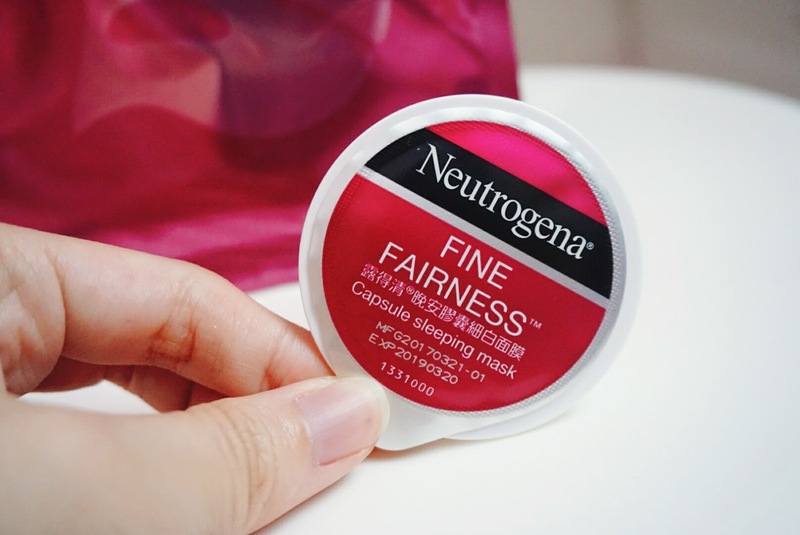 I have been trying out the Neutrogena Fine Fairness Capsule Sleeping Mask. 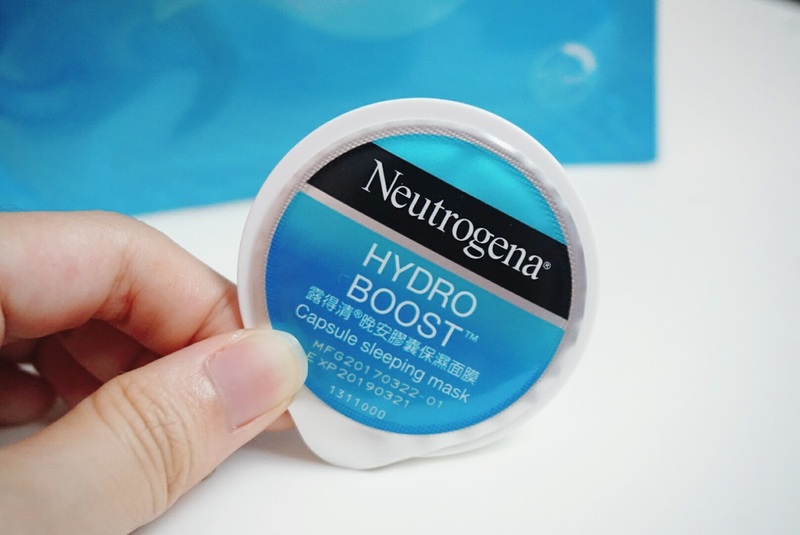 I love how this sleeping mask actually provides moisture to my skin after application. It was so easy and smooth to apply. When you wash it, you wouldn't feel your skin too dry but it was so radiant and supple too! Hyaluronic Acid replenishes moisture continuously, leaving skin optimally hydrated, radiant and supple. As mentioned, even for the hydrogel mask the packaging is really striking and stand out. It was also a refreshing packaging also too! For now, they do not come in box packaging and only comes with 1 sheet. You can find it only in Guardians. You can used it anytime whenever you find your skin looks extra dull and dry. Even after from tiring and dull work life too! 100% paperless Hydrogel mask delivers stronger efficacy from its essence-gel making process and its special obscuring effect. 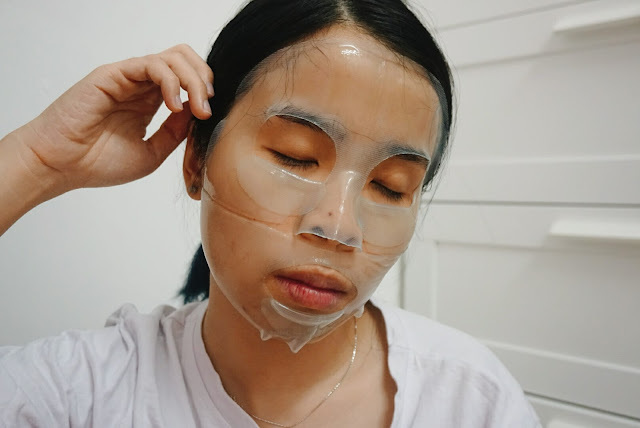 When using Hydrogel recovery mask, the serum is absorbed into your skin as the hydrogel melts, and the gel can pack in much more nutrients than a cotton sheet can. Additionally, the hydrogel helps to keep your skin directly in contact for longer with the nutrients without evaporating as quickly as a cotton sheet would. Also minimizes dripping vs paper sheet masks. 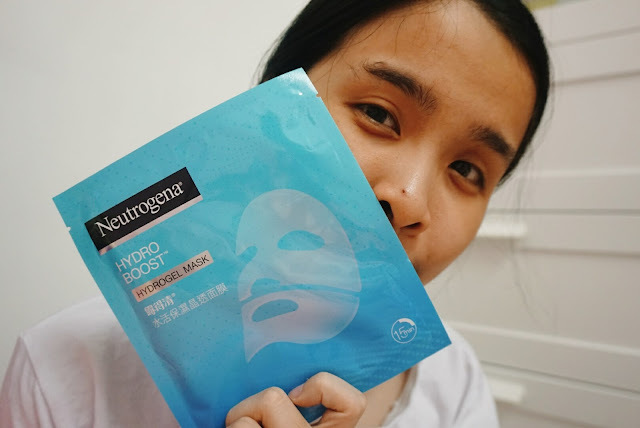 In today post, I will be trying out Neutrogena Hydro Boost Hydrogel Mask. As usual, my favorite sheet mask to try is the mask that keeps my skin moisture, radiant and feels supple the whole day! 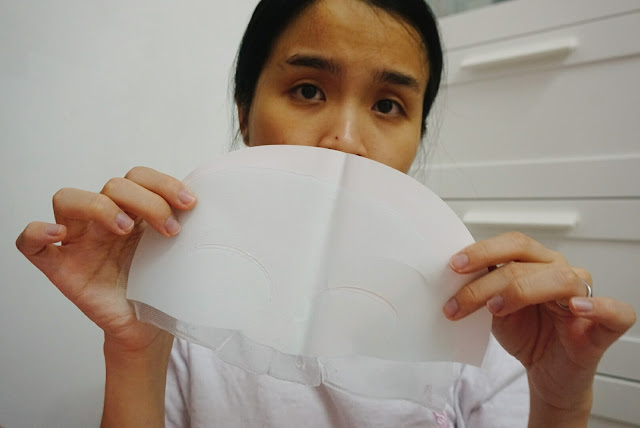 The design and steps of usage behind of the facial sheet mask. Inside the packaging, it came in 2 separate hydrogel mask. Which I find it was quite interesting, I rarely try on a mask with 2 separates sheets. It was protected by a white film backing which helps to store the nutrients in the mask. This sheet mask comes in 2 different texture which I'm really confused at first. But do apply the smooth area of the hydrogel mask onto your skin and leave the one with rough area facing outside. 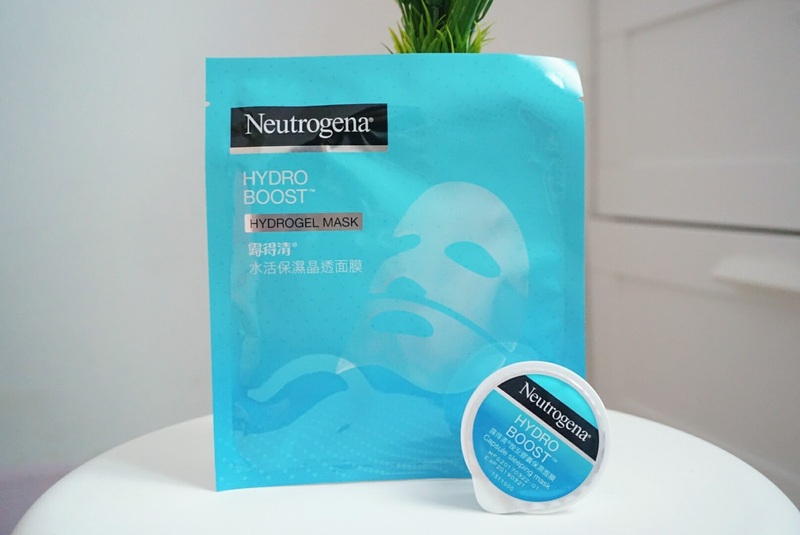 My skin is so much at ease when I apply this Hydrogel Mask on my face. The texture of the hydrogel is super cooling and smooth when I apply it to my skin. The cooling ness does not fade out as time pass by. 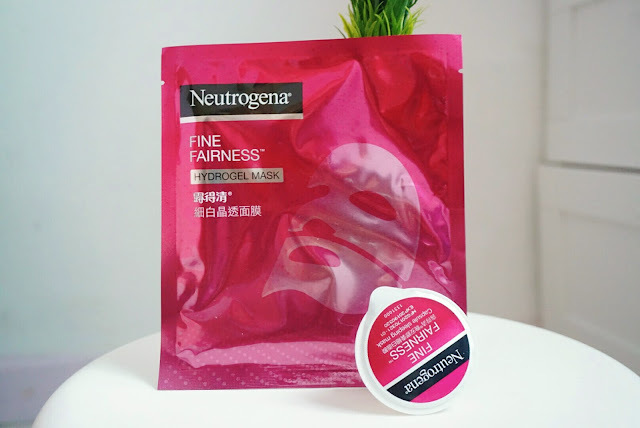 The hydrogel mask adheres to my skin perfectly without leaving any sagginess around my face area too. Another bonus shoutout is that they even have this special portion of the hydrogel mask for your eyes and mouth too. 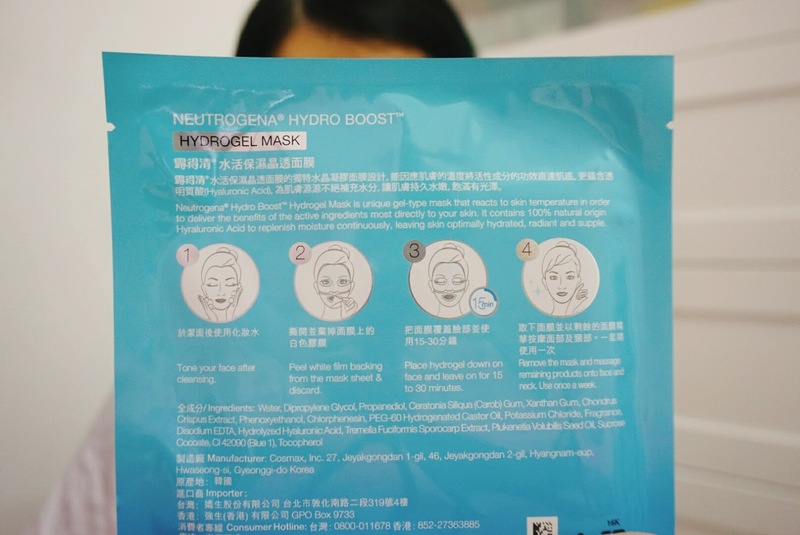 You can just lay back on your bed, and apply this hydrogel mask for around 15 - 30 minutes. No dripping of mask essence too throughout the masking period! After applying for 15 minutes, I take out the hydrogel mask from my face. The cooling ness feeling of the mask stays on my face for around 10 minutes which I really love it. There's not much sticky feeling on my face too, which it might the essence has fully absorbed into to my face. It was a gel mask which it has less evaporation compare to facial sheet mask. Not only that, it also contains 50% more essence versus a normal paper mask too! Overall both the products have meet my expectation like the cooling effect of the hydrogel mask and the supply and radiant texture after using the capsule sleeping mask. Both of them has really pretty packaging and comes in really minimal scent. Capsule sleeping mask is super convenient to bring around and use. Hydrogel mask is so cooling and fun to enjoy when you have a tired and tough day from work. When your skin feels happy so do you! 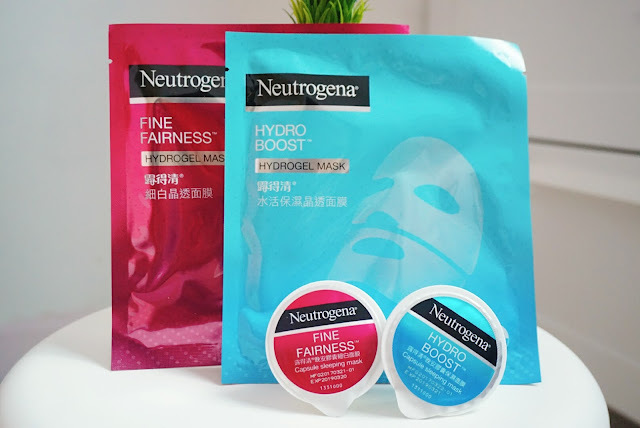 I do hope Neutrogena might come out a box design mask for the hydrogel series, it will be really great that we can use the mask frequently. Or we might get a cheaper deal when we buy in a box packaging too! The hydrogel mask definitely! 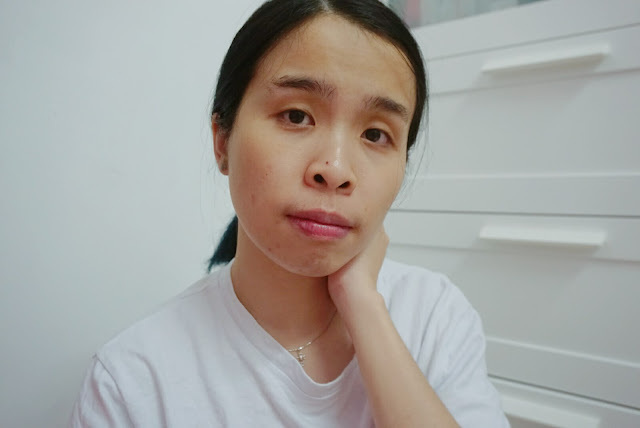 I would really want to try out to apply it longer, to see whether the results will be more obvious for my skin. For capsule sleeping mask, I might get it when I am in need of a trip or travel with friends. Results may vary base on your skin condition. The gel texture looks so comforting for the skin. Gonna try it out! I love the capsule mask as it it in travel size and I use it anywhere, anytime and anyhow! Neutrogena products are look great. Will definitely check and give this a try. Wow i commend on Neutrogena for introducing these new products. They both so convenient and practical especially for frequent travellers. The capsule packaging example is very nice and practical. No need to carry bigger container. I do bring around to travel with me too! I love both of these. It was so convenient and comfortable at the same time. Plus the price is pretty affordable. These hydrogel masks looks like very thick compared to sheet masks. Luckily it is not too expensive so can give it a try. Yes Emily! Give it a try ya! 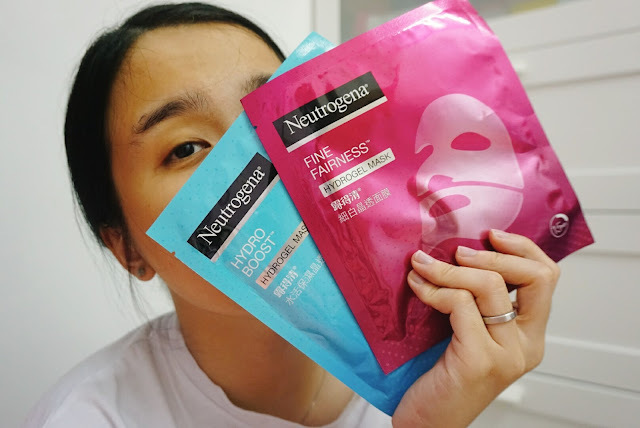 Neutrogena mask look convenient for travel use too. I love Neutrogena products.. Haven't try out this mask though.. Gonna go get it..